It’s the beginning of the end for smartphone apps as we have known and tapped on them, reckons Gartner. The analyst is calling the start of a “post-apps” era, based on changes in consumer interactions that appear driven, in large part, by the rise of dominant messaging platforms designed to consume more and more of mobile users’ time and attention. It figures messaging apps will become more popular than social media apps within the next two years. Usage of standalone maps apps also shrunk by three percentage points, year-over-year, according to Gartner’s data. And social media app usage reduced by two percentage points vs messaging app usage growing by three percentage points over the same period. Shopping (which results in something tangible being delivered), and personal assistant apps (which are designed to shortcut queries) bucked the slide, growing by four percentage points apiece. “It’s a move away from using native applications to something else,” says Gartner research director Jessica Ekholm, discussing the survey in an interview with TechCrunch. 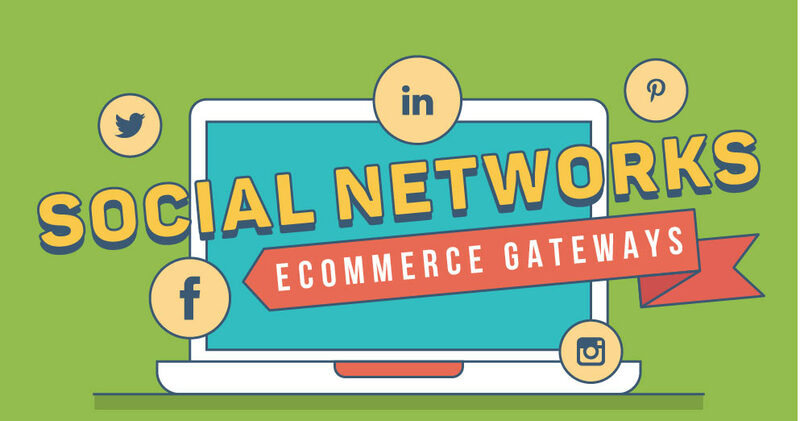 “Consumers are getting less interested in using applications; there are far too many applications. Some of the surveys that we’re doing we see that there’s a stablization in terms of app usage. How many apps they’re downloading, how much time they’re spending finding new applications — it’s just that people are getting a little bit disinterested in that. People are spending more time with the apps that they’ve already got. Social media losing out to messaging is not surprising when you consider how much personal sharing has migrated to more bounded/non-public messaging platform. 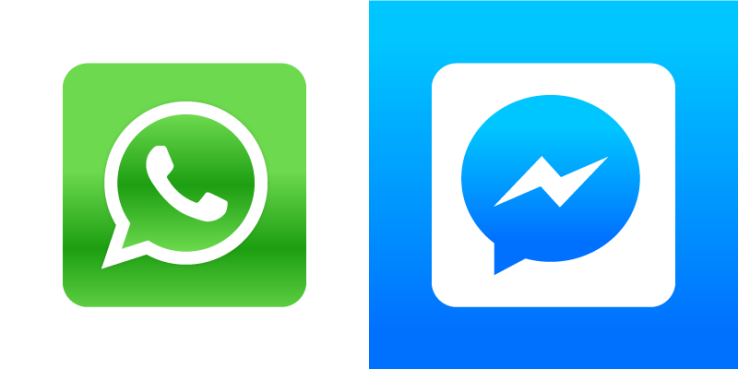 The analyst notes how “incredibly sticky” messaging apps have become — with 72 per cent of survey respondents using these types of apps at least once per day, according to its survey data. In recent years Facebook has also made a conscious effort to drive usage of its Facebook-branded messaging app Messenger, by closing off the ability of mobile users to view Facebook messages unless they download and use the Messenger app. That strategy may have cannibalized some usage of Facebook’s main social media app but it’s clearly driven usage of Facebook Messenger — to beyond one billion monthly users. The company also owns the WhatsApp messaging platform, which also has more than a billion users and is hugely popular outside the US, in regions such as Europe and South America. In China, the homegrown WeChat is the dominant messaging force for monopolizing mobile users’ attention, via a platform that plugs in all sorts of additional third party services, from ride-hailing to banking to food ordering. 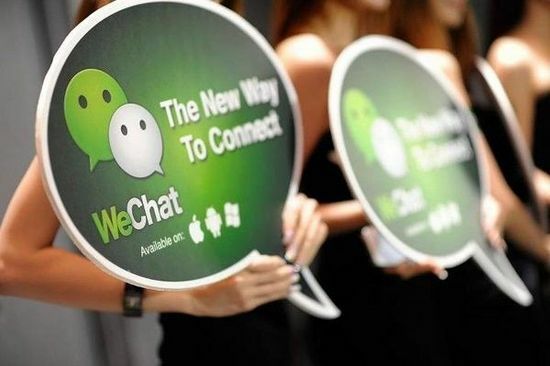 (Gartner’s poll puts WeChat’s popularity there at a staggering 95 per cent usage). This so-called ‘super app’ model was pioneered by WeChat, but players such as Facebook are clearly gunning to clone the approach for mobile users in the West — and there are signs the company is sucking the oxygen out of other apps, even if a Facebook-owned platform is not yet the only place to go for everything. Can WeChat’s ‘super app’ model be replicated in the West? After all, China’s firewalled Internet and differences in cultural attitudes could also be playing a role in WeChat’s success. But Ekholm reckons it’s only a matter of time before the US has its own WeChat-esque go-to platform. “I think it can be and I think we’re heading towards that, quite frankly,” she says, when asked if the WeChat model can be replicated. “Because it is moving towards stablization of the usage of applications, and you get into digital assistants coming in and people used to using one avenue or one channel to get information. And also what the likes of Facebook is doing — and everyone’s trying to do as well with the messaging applications that are becoming more of a platform — they’re moving in that direction. “It’s just a case of if the user experience is great others will follow because that’s what we generally see with consumers. If the user experience is great the early adopters are going to tell their friends and family, etc, etc. That’s how it goes. And then we see more early mainstream adoption, so I do think it is moving in that direction. Will a new application get a billion users? Probably not. But if you get a few hundred thousand you might be acquired. Facebook’s bald-faced attempt to hijack the smartphone homescreen, via the 2013 homescreen replacement app, Facebook Home, did not deliver the landgrab the company was seeking. But that earlier stumble looks to be of little consequence now given the company’s rising success in dominating the smartphone experience via an indirect strategy focused on ramping up the stickiness and functionality of its various social and messaging platforms to keep users playing within its walled gardens. And monopolizing people’s time and attention via a suite of increasingly dominant platforms ultimately has the same effect as a physical takeover of the third party app space on their handset’s homescreen. There will also still be room for apps to live within Facebook’s walled gardens, of course, albeit as more minor bots/chatbots vs standalone properties. So manager your expectations, developers. And here Ekholm sees AI playing an increasing role in how users will discover services in the Facebook-dominated future. She reckons AI is one area where developers can still make some kind of dent in the digital universe — despite messaging being monopolized by increasingly powerful platform giants. “There’s always going to be an appetite for something new, something more exciting,” she argues. “But it has to be an excellent user experience, it has to be something exciting… There are some very interesting new digital assistants… There’s a Spanish digital assistant called Sherpa that do some really exciting stuff. Virtual personal assistants (VPAs) are another growth area flagged up in the survey — though one Facebook is also addressing (with a built-in assistant within Messenger, called M). And it remains to be seen whether VPAs will ultimately just be folded into messaging platforms as another function within the walled garden. Or whether voice-driven assistants could themselves prove to be powerful and disruptive enough to spark a major shift away from smartphone screens (via hands-free devices such as Apple’s AirPods or the Amazon Echo connected speaker, for instance) — to put a noticeable dent in messaging platforms’ dominance. Gartner has previously flagged rising consumer interest in voice-driven devices and services. For this app survey it was specifically looking at smartphone-based VPAs, where it found that Siri and Google Now are the most used among US and UK respondents. So Facebook has ground to make up there — without the advantage of being able to bake its assistant into the mobile OS. Primary uses for VPAs which the analyst identified from survey responses are checking the weather forecast (70 per cent); finding nearby/popular places (44 per cent); and reading breaking news or other news stories (44 per cent). Which suggests these digital assistants are not in danger of cannibalizing the primary use-case of messaging platforms: i.e. communication. The analyst does reckon VPAs have the potential to replace some “traditional apps”, as it puts it — by offering a shortcut to get “fast information in a consolidated manner” vs tapping to open a weather app, for example. But such a utilitarian focus for VPAs does not suggest much to upset the addictive catnip of socializing en masse — and in glorious multimedia — that continues at vast and growing scale on multiple messaging platforms. At least, not for now. Still, VPAs do appear to have a place or a role to play in an information-overloaded world. Overall the analyst found a substantial majority (71 per cent) of respondents use them at least once per week. Although Ekholm also noted some noticeable differences in usage frequency across the three countries, with usage highest in the US — where 42 per cent of respondents said they use VPAs daily (vs just 28 per cent who do so in China, and 30 per cent in the UK). Another driver of a post-apps era that Ekholm pointed to is the need for consumers to control multiple connected devices — such as in a smart home scenario — where an ‘apps for everything’ approach not only does not work, but is actively counterproductive.